The Lexus RC F takes most of its styling from the Lexus IS sedan, but it is much more aggressive and very sporty. 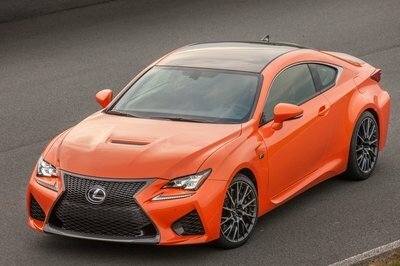 The idea behind the RC F is to pay tribute to Lexus’ supercar – the LFA. Even though it was designed to complement the LFA, it wasn’t designed to be a Nissan GT-R fighter. 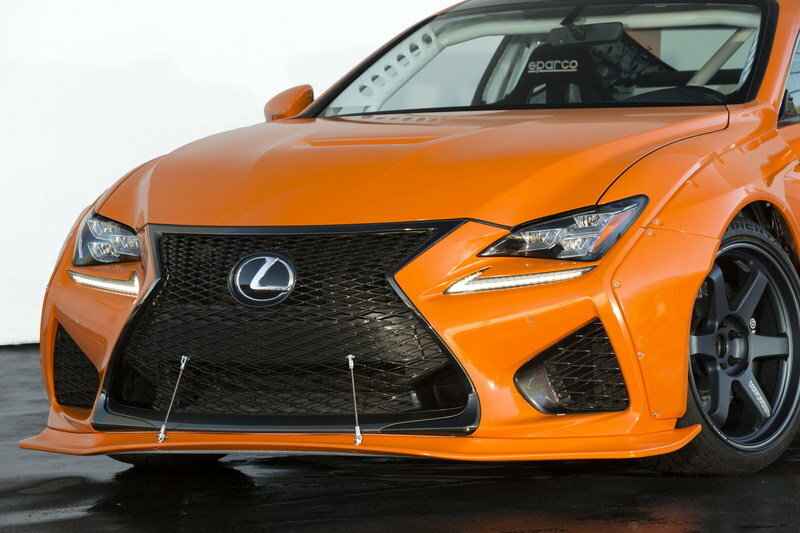 Instead, Lexus designed the RC F to take on cars like the BMW M4 and Audi RS5. Now that the RC F has been on the market, it is no surprise that modified versions of it are starting to pop up here and there. One such model is the RC F by Gordon Ting and Beyond Marketing. Things like the suspension and seats have been upgraded, and there is even a performance upgrade in there to talk about. The car has received a roll cage and new racing seats as well. Needless to say, Gordon Ting and Beyond Marketing took an already sporty RC F and made it that much better with a focus on aerodynamics and handling. Now that we’ve talked a bit about the roots of the RC F and what Gordon Ting and Beyond Marketing has brought to the table, let’s take a deep look and see just what differentiates this RC-F from the rest. Continue reading to learn more about the Lexus RC F By Gordon Ting/Beyond Marketing. 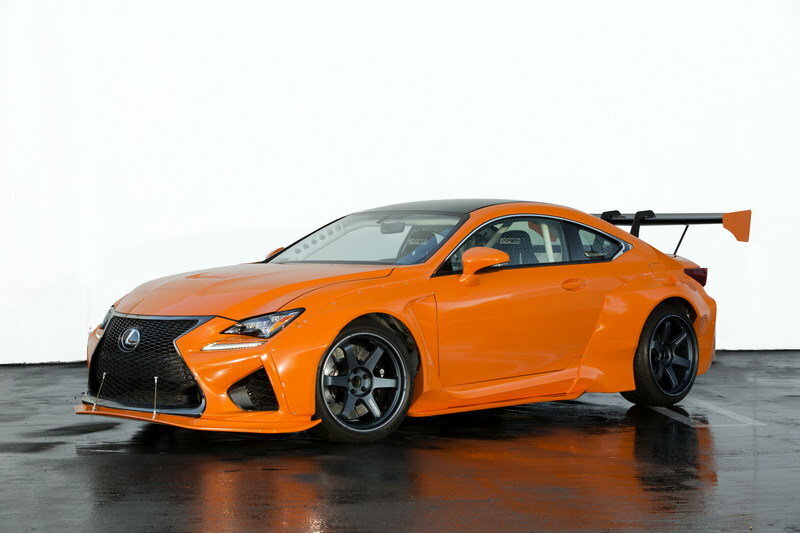 MV Design bodywork graces the exterior of this RC F by adding a front spoiler and a rear spoiler that should provide better downforce on the rear. A custom RC-F wide body kit protrudes about an inch from the body at the rear quarters to compensate for the larger, Sporting Rays Engineering Volk Racing TE-37 Ultra Matte Blue Gun Metal wheels. 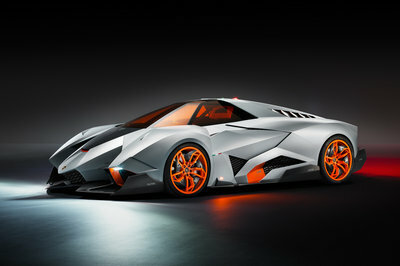 The rear wheels are 20-inch by 12-inch, while the front wheels are 20-inch by 10-inch wide. The custom rollers are wrapped in Bridgestone Potenza tires. All body paneling is wrapped in 3M gloss Burnt Orange wrap to match the original Burnt Orange finish. To improve handling and maneuverability, the RC F has received a KW Suspension Variant 3 Coilover Kit. 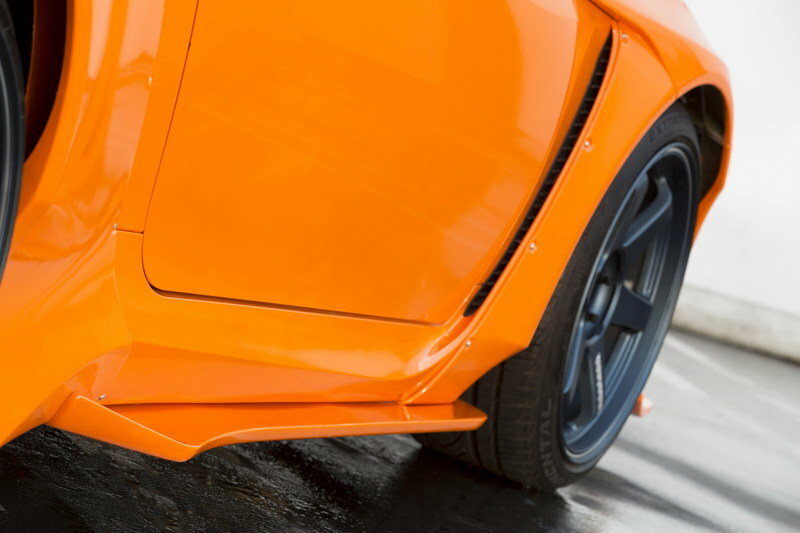 This kit doesn’t appear to give the car a different ride height, but coilover kits offer stiffer springs that should reduce body roll in cornering. 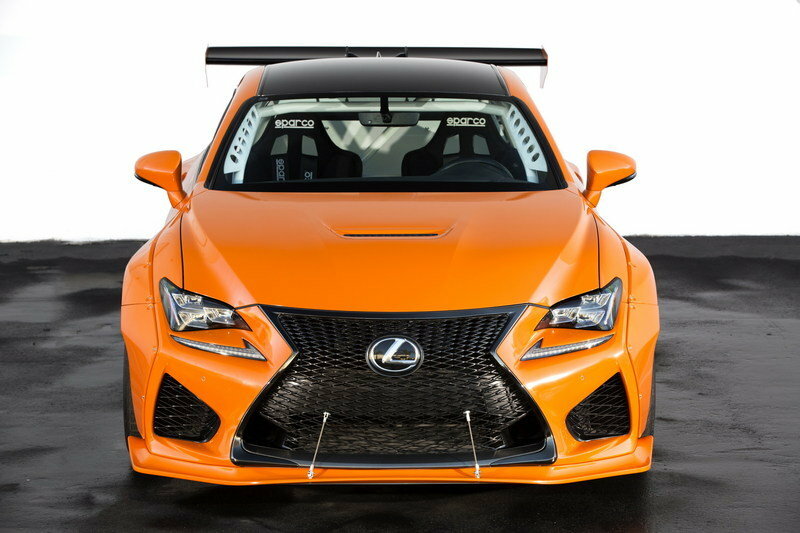 We haven’t seen much of the interior, but we do know that the RC F received a custom Evasive Motorsports six-point roll cage and rear cover panels that are painted bright-white — actually a nice accent to the Burnt Orange exterior. The seats have been replaced with Sparco U.S. grid competition FIA-approved race seats. From the pictures we have received, the interior paneling has been removed — at least in the rear — to make room for the roll cage. It is safe to assume the door panels may have been removed or replaced to make room for the cage as well. The dash board is still in place, however, and it is possible that the instrument cluster and the center stack may have been altered. No word has been said about any major modifications to the drivetrain. To the best of our knowledge, the car has the same 5.0-liter V-8 that puts out 467 horsepower and 389 pound-feet or torque. 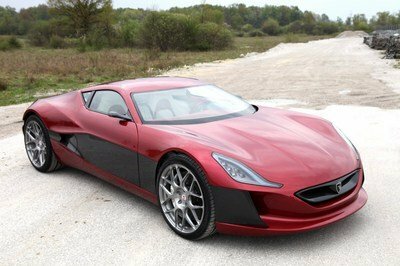 In stock form, the car hits 0-60 mph in 4.5 seconds with an estimated top speed of 168 mph. No major upgrades were made, but the car did receive a GReddy Performance supreme SP dual system exhaust and a Takeda Retain intake system for better breathing. To help bring this modified RC F to a stop, Brembo six-piston, Monobloc calipers have been added to all four corners. 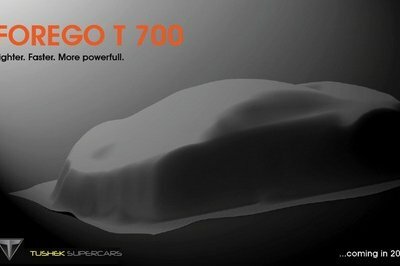 Given these upgrades, the car’s 0-to-60 time may drop by a couple of tenths of a second and horsepower probably climbs up into the 480-to-490 range. Top speed might come in at 170, but these upgrades aren’t that major, so big improvements in performance specs aren’t to be expected. Throw a supercharger into the mix and this bad boy could really do some damage to the competition. I have been a big fan of the RC F since the first time I laid eyes on it. 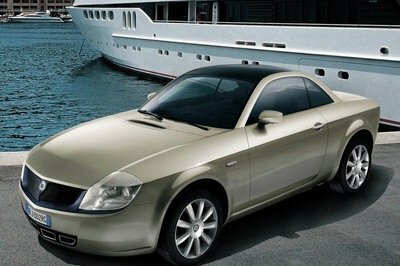 The production version is already very sporty and stylish. Adding in a wide body kit, the front spoiler and that big bench of a rear spoiler actually adds to the appeal of this car. The Sparco race seats and six-point roll cage just make this car ready to hit the track and post some numbers. I’m impressed with the work done to this car, and assuming I had the $64,000 needed to buy a production version, I could see myself adding a similar wide body kit. I look forward to seeing more customized variants of the RC F in the future. Matte Blue Gunmetal wheels (front: 20 x 10; Rear: 20 x 12 rear) with Bridgestone Potenza tires. Add GReddy Performance supreme SP dual system exhaust and top it off with Brembo 6 piston Monobloc calipers for stopping power.